We can produce banners based on your Custom Design Layout, or you can choose and customize our numerous Stock Designs. 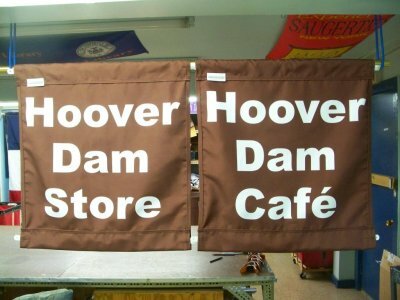 These banners for the Hoover Dam are made of 600 denier Dacron polyester and dye-printed using the dye-sublimation process. color inkjet and shared with your associates. Sizes, shapes, previously made banners are shown in the brochure. Contact us if you have questions about your project and requirements or wish to discuss placing an order. Look at the diagrams in the right column for ideas to customize your banner. Avenue Banner Copy locaton or Logo placement is flexiible with a specific layout. 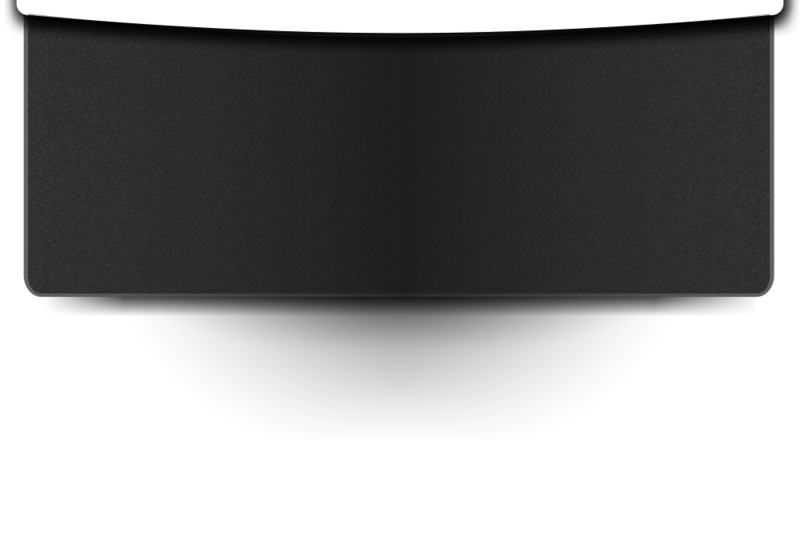 The copy can be presented stacked, reading top to bottom, or reading bottom to top when vertically placed, or horizontally placed. Look at the template diagram for suggestions. be customized with your name, event, location etc. Each layout has a defined template shape and design elements, some basic copy, and can be customized with your name, greeting or theme statement. 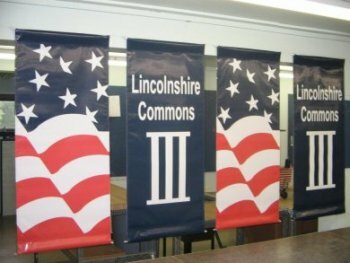 All banner collections can be customized. 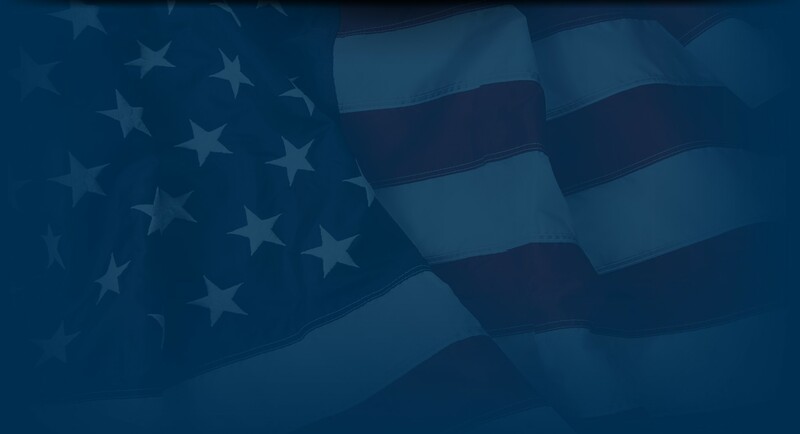 Numerous layout templates are available to help organize layout design and copy elements. You are only limited by your imagination. 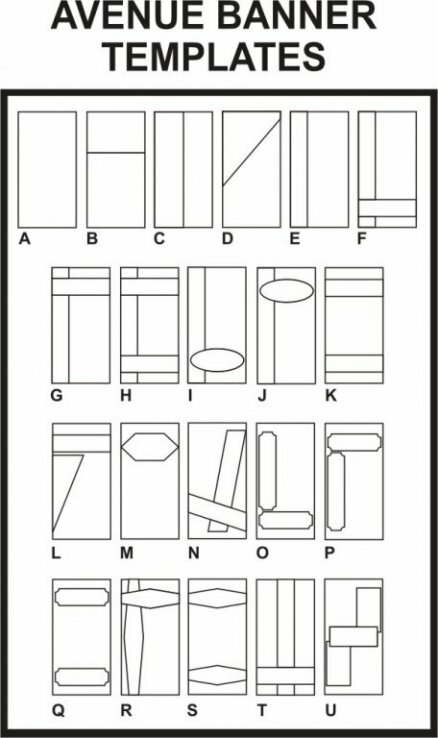 We can print in full color your banner with your copy using one of the these template structures. 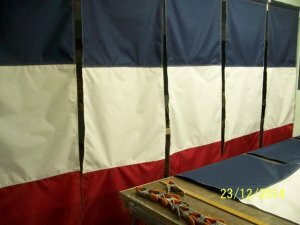 The French tricolors were completely sewn and hemmed together using 100% nylon fabric. These light pole banners were hung at a university French Film Festival. 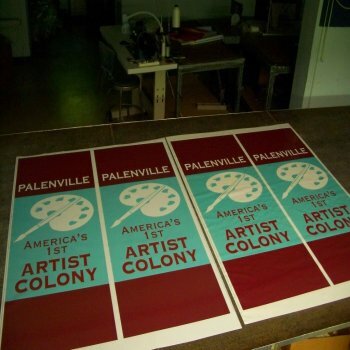 These double side prints are shown before they were placed back-to-back and sewn together to make a light pole banner. They were printed using eco-solvent ink on 14 oz. gloss scrim vinyl. 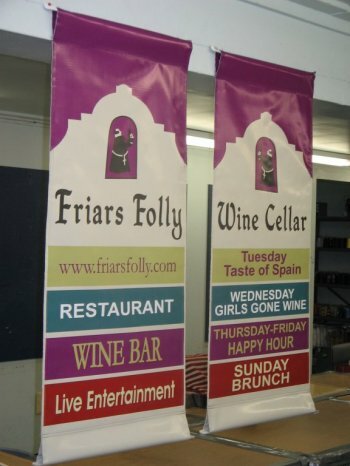 Vinyl printed banners displayed at a resturant. Light pole banners printd on vinyl for a housing community. Avenue light pole banners need to be attached to a light pole using mounting hardware so they are visible on the pole. The banner itself can have pole sleeves or grommets. The most appropriate construction element for attachment is the pole hem sleeve, especially when there is a top and bottom sleeve. 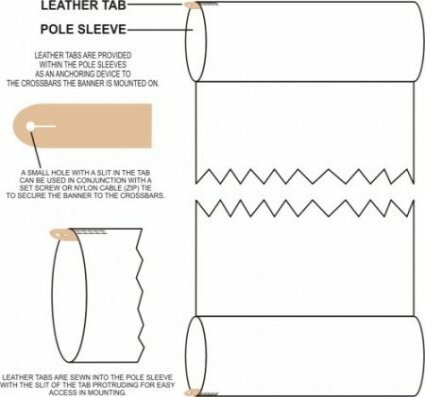 This will allow the banner mounting pole when inserted through the sleeves to support the top and bottom of the banner equally, thereby reducing stress on the banner. The leather attachment tab facilitates this connection when a nylon cable tie is used to attach tab to pole. 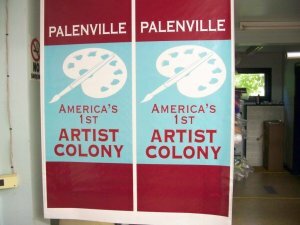 Light pole banners can be mounted in two ways on the light pole: Single, with one single banner mounted or double, with two banners mounted in tandem on the pole. Hardware is available for either mounting choice.